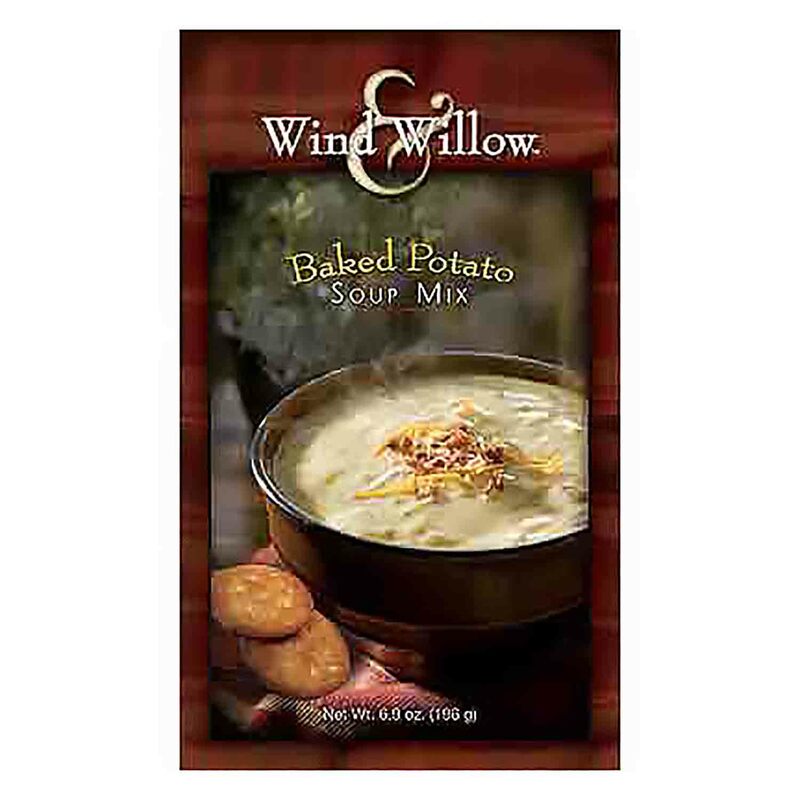 Brand: Wind & Willow WW-60002 Units: 1 mix Rich, creamy, delicious and ready in 20 minutes! Add just a few ingredients to create homemade clam chowder, Sunday Brunch Casserole, or Salmon Bisque. Rich, creamy, delicious and ready in 20 minutes! Add just a few ingredients to create homemade clam chowder, Sunday Brunch Casserole, or Salmon Bisque. Ingredients: Dehydrated Potatoes (Sodium Bisulfite), Wheat Flour, Creamer (Partially Hydrogenated Soybean Oil, Corn Syrup Solids, Sodium Caseinate, Mono and Diglycerides, Dipotassium Phosphate, Soy Lecithin), Cheddar Cheese Powder (Cheddar Cheese (Pasteurized Milk, Cheese Cultures, Salt, Enzymes), Whey, Salt, Disodium Phosphate, Lactic Acid), Modified Corn Starch, Bacon (cured with Water, Salt, Sugar Sodium Phosphates, Sodium Erythorbate, Sodium Nitrate, Smoke Flavor), Salt Natural Flavors [Heavy Cream (Whey Protein Concentrate, Whey), Yeast Extract, Maltodextrin, Annatto and Turmeric Extract, Cultured Potato Extract, Barley, Malt Flour], Dextrose, Dehydrated Onion and Garlic, Chicken Fat (Extract of Rosemary), Sugar, Titanium Dioxide, Spice, Chives, Disodium Inosinate and Disodium Guanylate, FD&C Yellow Lake #5 & #6 Contains: Wheat, Milk, and Soy.